The latest model configurations of the 2019 Honda Pilot include the LX, EX, EX-L, Touring, and Elite models. As Fernandina Beach buyers move up the line, they’ll gain access to more upscale performance, exterior, and interior and cargo features. The new 2019 Pilot includes plenty of space and features for your family to get excited about, From a powerful V6 engine to an optional rear-entertainment system. Look below to see which of the Honda Pilot trim levels is right for your St. Augustine commutes and budget. Test Drive the New Honda Pilot at Lou Sobh's Honda of the Avenues in Jacksonville! Explore the new Honda Pilot LX, EX, EX-L, Touring, and Elite trim levels in person to find the model with the performance and amenities you want for you and your family. 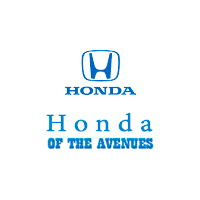 Schedule a test drive at Lou Sobh's Honda of the Avenues near Green Cove Springs today! 0 comment(s) so far on What Are the 2019 Honda Pilot Configurations?